A mortuary was never a place on my ‘wish list’ to visit, but as a police investigator it was a very necessary part of my role. Some senior investigators choose to delegate this task – not me. It is my view it is essential that an SIO sees this procedure for first-hand knowledge of what he/she is dealing with, in terms of the evidence it will reveal. We have all no doubt heard the word post-mortem or autopsy, as the procedure is sometimes known as in the various media. But what is it? The Coroner is bound by law to carry out a post-mortem when a death is deemed to be suspicious, sudden or unnatural.The Coroner will also decide if an inquest is necessary. 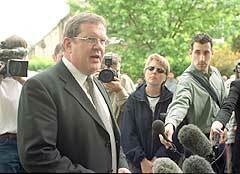 (See blog – ‘The purpose of an inquest’). Forensic Pathologists are the experts who perform the procedure to ascertain the cause of a death. Causation is a term readily used.They will have strong medical backgrounds. Studying the dead obviously isn’t for everyone – even doctors! The post-mortem is of paramount importance to the investigator during homicide investigations and a catalyst in bringing the perpetrator(s) before the Court. As a young police officer attending a post-mortem for the first time I was somewhat overwhelmed to see what took place – and the smell is something I will never forget as long as I live. However, during my thirty years experience as a police officer it was a place I would be required to visit on numerous occasions, even more so in my latter years as a Senior Investigating Officer taking charge of numerous murder investigations and suspicious deaths. As a Detective Superintendent I have stood alongside many eminent pathologists as they have diligently carried out these procedures, which can take hours. On enquires into multiple deaths this can take days. 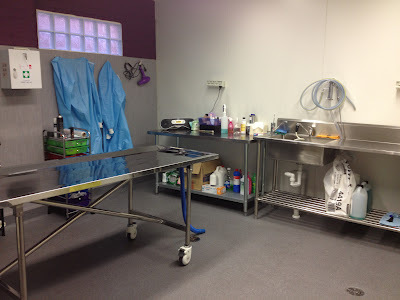 Body tapings, samples of hair – cut and pulled, blood, urine samples, nail scrapings, swabs are all taken as a matter of course, but each case is dealt with in isolation as the location of the body for instance may dictate other samples required. i.e. soil, pollen, water etc. Equipped with the knowledge of how, when, where and what caused a persons death is power to the ‘investigators elbow’. Understanding what type and size of weapon caused an injury, coupled with the angle of the attack is of paramount importance for the subsequent interviewing of a suspect. Knowing whether an injury was caused prior to, during or after the death of the victim is another valuable piece of information. On occasions forensic pathologists are called to the ‘murder scene’ to examine the body in situ, before it is transferred to the mortuary. This is to assist in interpreting what is likely to have taken place. They may also be able to clarify if the location is also likely to be the ‘murder site’ or a ‘dump site – in their view. When the pathologist does not attend the scene then the first time he or she sees the body is at the mortuary. In this case the senior investigating officer will narrate the identity, if known, of the victim and when, where, how it was found and in what circumstances. Even when a murderer(s) are believed to have been meticulous in their planning, evidence you can be sure will be still be found. Investigations are a transparent search for the truth, a post-mortem assists in proving someones innocence as well as guilt. When a person is charged a second post-mortem is carried out by the deference to ensure the facts are as previously discovered. 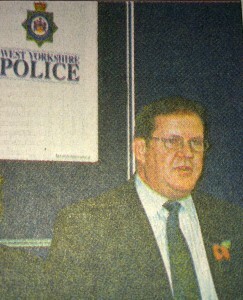 All night without sleep and Detective Superintendent Bridgestock is infront of the world media. Our DI Dylan fictional crime novels are written with the thoughts, feelings and sights in mind that Bob & I was privy to in our police careers.